By dur, October 18, 2018 in The Workshop! Forgive me if my search-fu is off, but I thought an updated thread would be beneficial anyways. 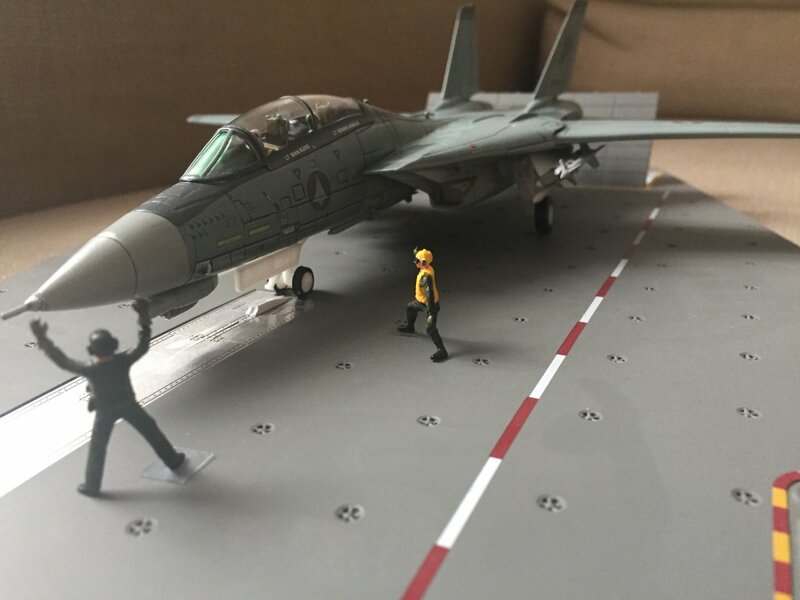 For those of you who like your valks interacting with other things, what else is in 1/60 scale? 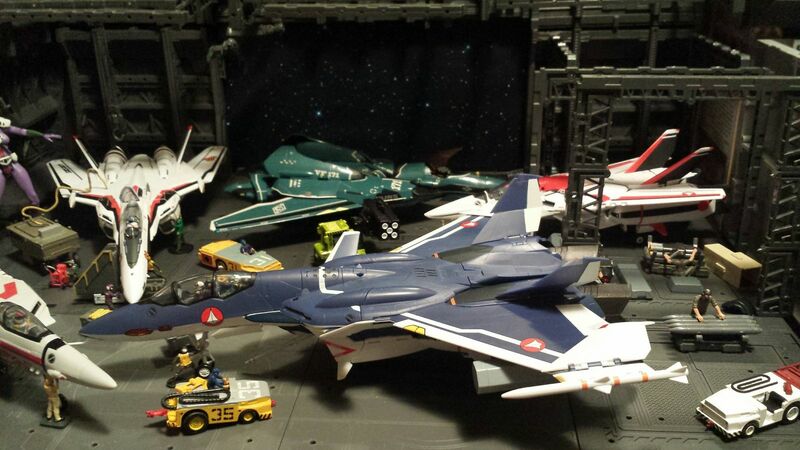 I've bought myself a masterpiece starscream just to use as an F-15 for my macross zero era toys to blow up (just wish there was also an f-14...). I was even thinking about getting some 1/60 gundams to fight, but I can't really locate anything else in this odd scale. There are a few 1:60 around, like the 1:64 diecast cars, a few Japanese 1:60 diecast military vehicles. 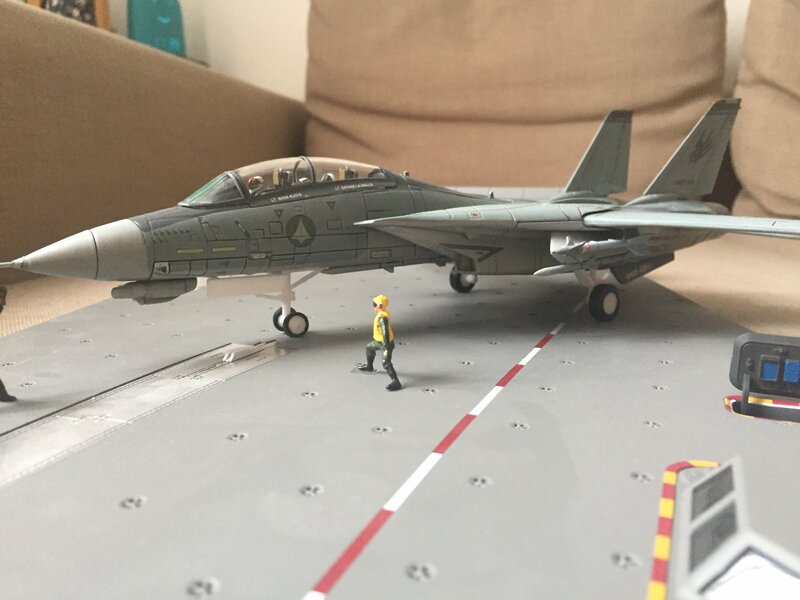 Don’t forget the 1:64 F-14 from corgi. in plastic toy form, I am eyeing at the Takara diaclones (and their KO MechFanToys), you got also the 1:60 full metal panic mechas. Amazing display! Thanks for the tips on the 1/60 things! 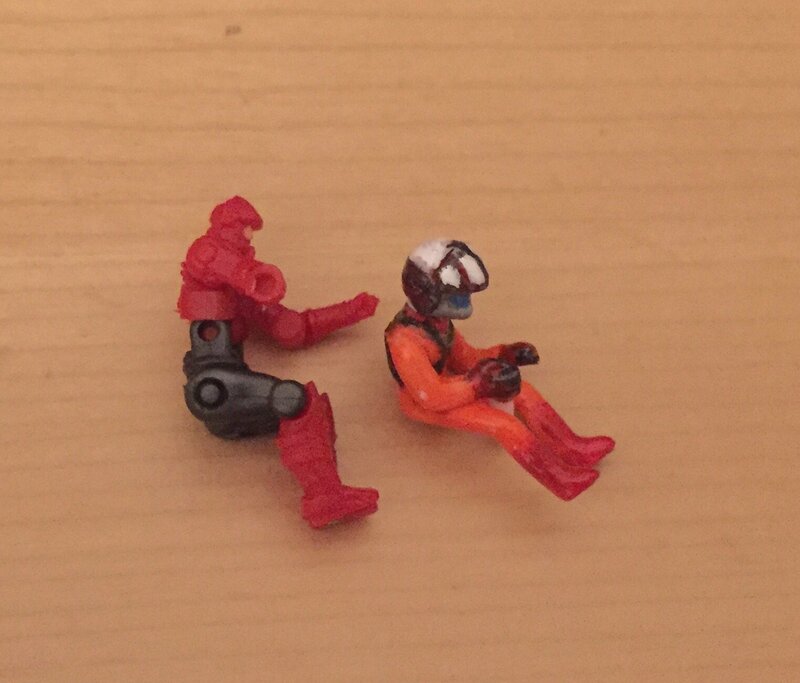 Out of curiosity, do diaclone pilots fit in the cockpit of any VF's ? PS Thanks for the tip on the Tomcat- going to buy it and "fix" it (repaint, re-decal. Hopefully with some scaled up markings). The diaclone pilots will be 3mm bigger than the arcadia/bandai pilots, so they won't fit any valk cockpit. I've been slowly collecting nice-but-not-garish Hot Wheels Asian cars. I plan to work them into a Lego diorama with my 1/60 VFs. I found a few pictures illustrating the diaclone size. 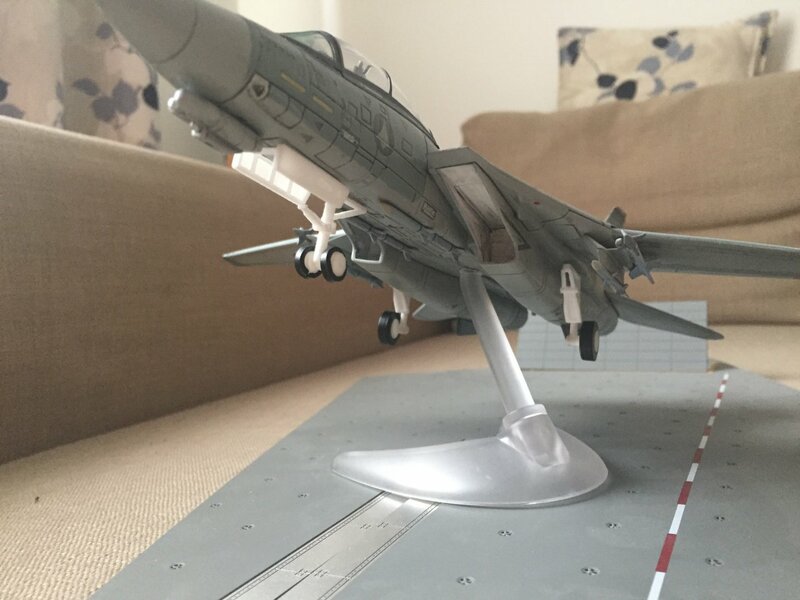 Concerning the Tomcat from corgi, I made on shapeways a display adapter so it can be displayed together with the VF-0 on a dual Yamato stand (yeti ones). And also a set of wheels, to display it on deck on normal position and also in crouched position. This base is a bit too big to fit the detolf but it looks great! 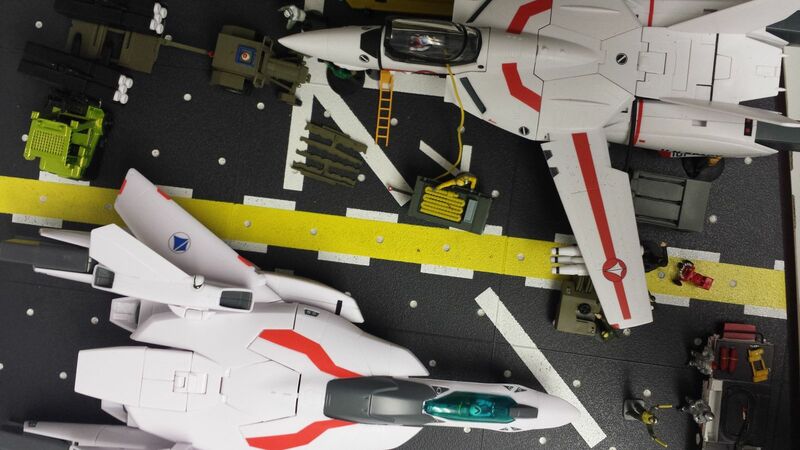 @xigfrid, did you 3D print your own 1/60 AMRAAM's and AIM-9's, or are those from a kit or something? I just got in my Starscream (i.e. F-15 standin) and corgi f-14 and am looking for some ordinance. 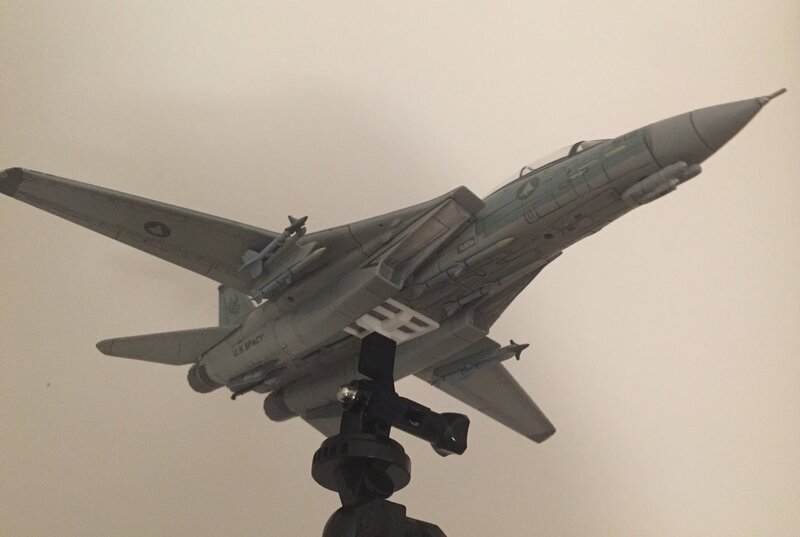 I was thinking of trying to 3D print some AIM-54's as well, cause what's an F-14 without it's AIM-54's :)? Also, for that carrier base, are you using 1/72? 1/60 is exactly 20% off from both 1/72 and 1/48 in either direction, so I'm not sure which one tends to look better. IMHO the DX macross valks look 1/72-ish while the Arcadia VF-0 series really looks like 1/48 with a 1/60 pilot stuck in a cockpit that's way too large. I guess for everyone's information, I'm going to try and order some of the "1/72" fighters from aliexpress that are a little oversized (I believe several of the Russian and Chinese fighters are actually 1/68) to see how they fit together. If you know him, you can ask "Ratatarse" who made this custom for me. I believe that he made all the ordinance from 1:72 left overs. 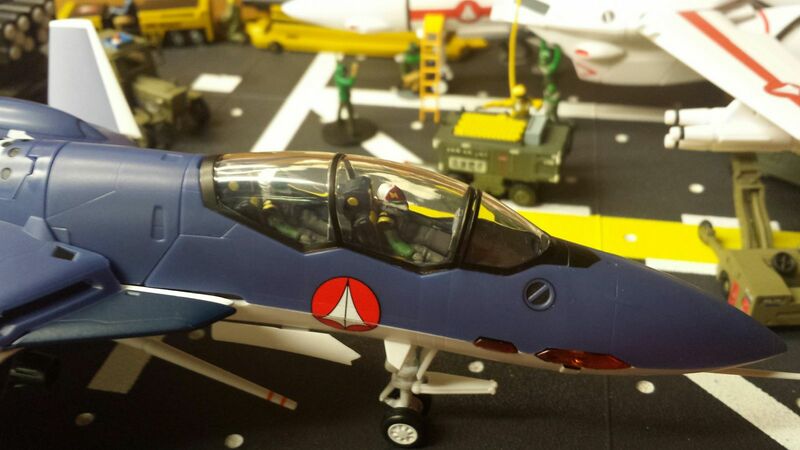 The decals were bought from Ebay (Chinese copy of the Hasegawa kit's). About the pilots, I believe too that the Arcadia pilots scale is great compared to the DX ones. I think the Arcadia VF-0 are greatly scaled even the cockpit, you will compare it with the Corgi F-14's cockpit, and they look in scale together. 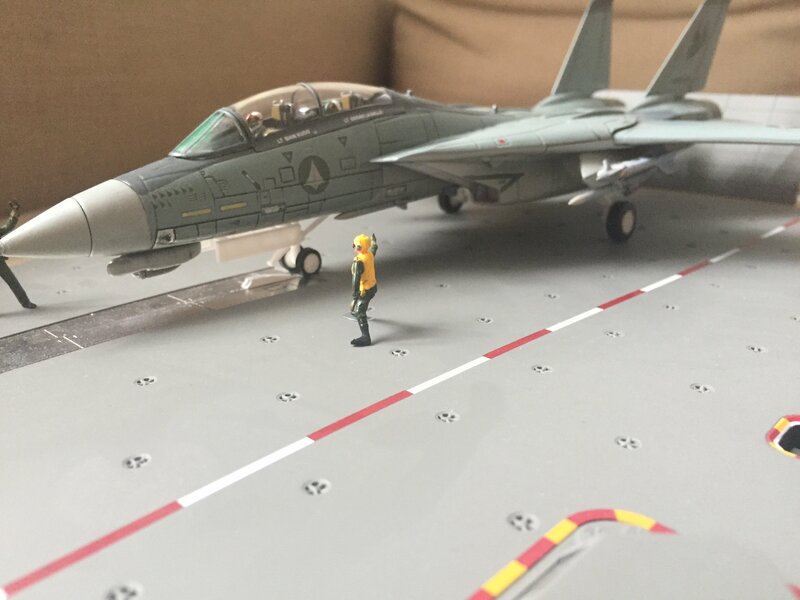 I have designed the F-14 pilots and 3D printed them in resin so they come with Macross Zero helmets and jackets. But you can use Arcadia VF-0 pilots to fit into the Corgi F-14 too. 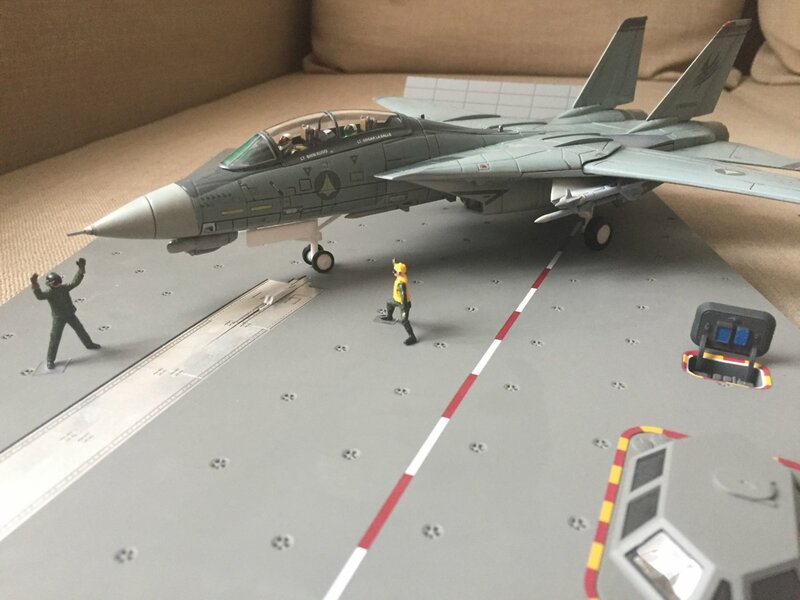 The carrier deck base is a 1:72 one from TSM / herpa, looks like a challenge to find one nowadays.